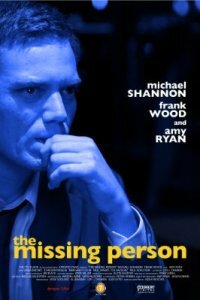 One of our most anticipated films of Sundance this year is Noah Buschel's The Missing Person which looks to be some type of throwback to 60's noir and stars one of my personal favorites, Michael Shannon. We reported on this film not 2 weeks ago and some nice anonymous reader sent us a link to cinematographer Ryan Samul's promo reel for the film (thanks), and while it doesn't have any dialog and is set to a jazz soundtrack, you can clearly see this film is really going to be something special. Trailer after the break or check it out on Ryan Samul's website in higher rez glory.